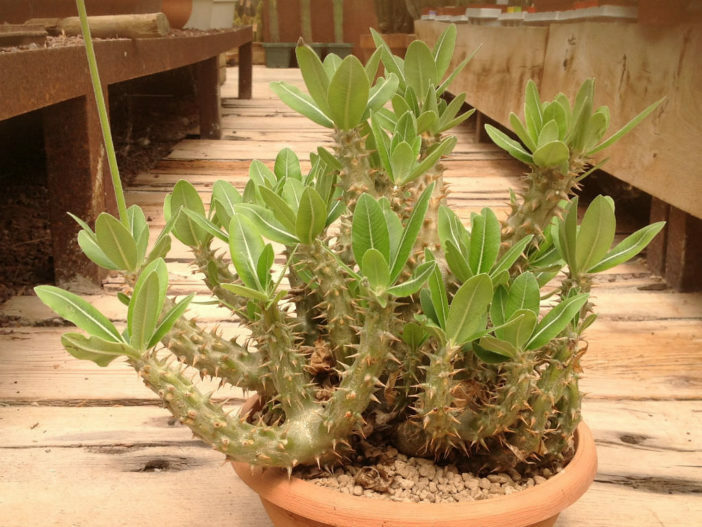 Pachypodium horombense is a succulent shrub or dwarf tree up to 5 feet (1.5 m) tall. 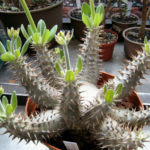 The plump, bottle-shaped base is surmounted with numerous of short, spiny, fat arms. 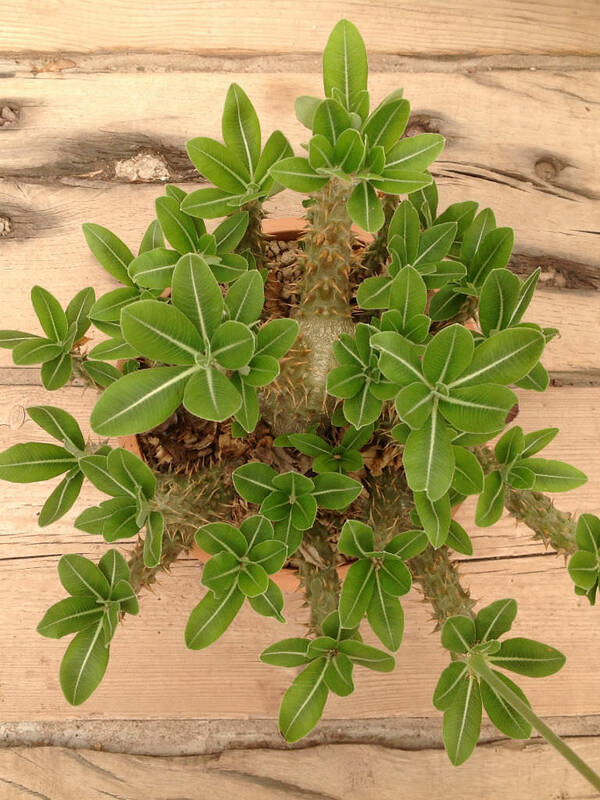 The oblong leaves are seen in a whorled tuft on branch tips. They are deep green with a yellowish midvein and felted, white undersides. During the warmth and increased moisture of late spring and into summer, thin flower stalks tower above the leafy branch tips. Each branching stalk is topped by a small number of horizontal bell-shaped yellow flowers. Each blossom has 5 pointed petal lobes and a ridge-chambered throat. 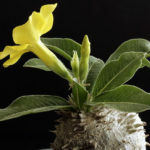 Unless in flower, it’s difficult to distinguish from Pachypodium rosulatum. The three parameters of light, temperature and watering are closely linked: you should not change one without the other two. 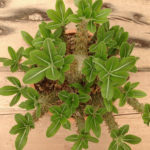 It is therefore important to note that the balance of these three parameters determine the good or bad health of their plant. Pachypodiums need much light because they originally grow under full sun in tropical countries. Direct sunlight is not absolutely necessary, but the sunlight should not be shielded by a natural view protection. 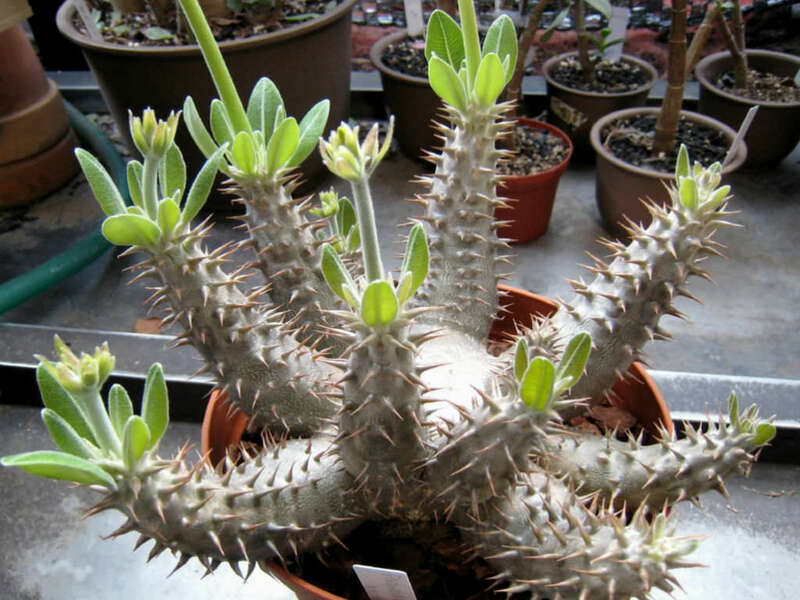 A Pachypodium with a lack of light will wither, its branches will be weak and appear “lean” and the leaves will be too big and soft. 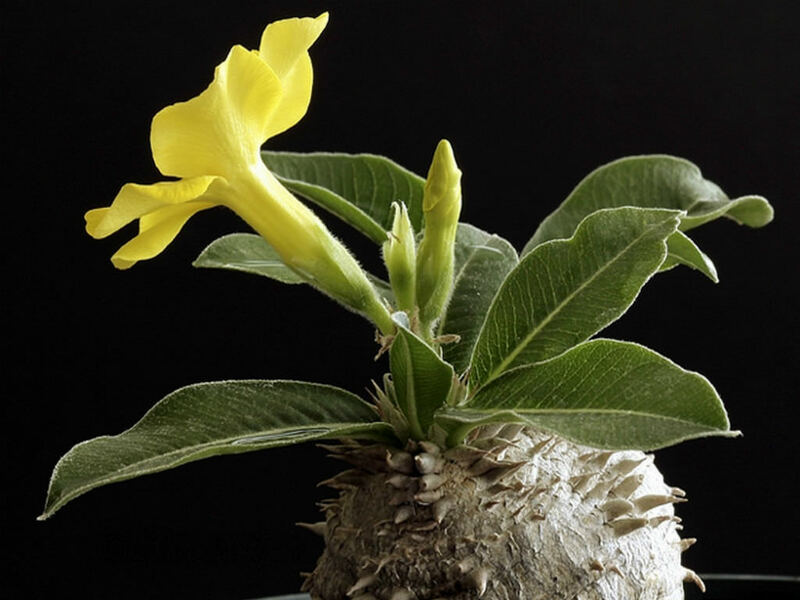 Over time the Pachypodium will be susceptible to disease and fungus and the plant will eventually die.